"Coaching is the universal language of learning, development and change." Imagine a workplace without fear, stress or worry. Instead, you're acknowledged as a valued, contributing team player who doesn't sacrifice priorities, values, happiness or your life for your job. Sound ludicrous? Consider this is a reality in many thriving organizations. 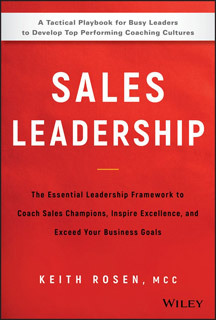 Most leadership books don't apply to sales leadership. Sales leaders are uniquely and indispensably special and need to be coached in a way that's aligned with their role, core competencies, and individuality to achieve their personal goals and company objectives. What if you can successfully coach anyone in 15, 5 or even 60 seconds using one question? Sales Leadership makes delivering consistent, high-impact coaching easy. For busy, caring managers, this removes the pressure and misconception that, "Coaching is difficult, doesn't work, and I don't have time to coach." Since most managers don't know how to coach, they become part of the non-stop, problem-solving legion of frustrated Chief Problem Solvers who habitually do other's work, create dependency and nourish the seed of mediocrity. Great business leaders shift from doing people's job to developing them by learning the language of leadership - coaching. 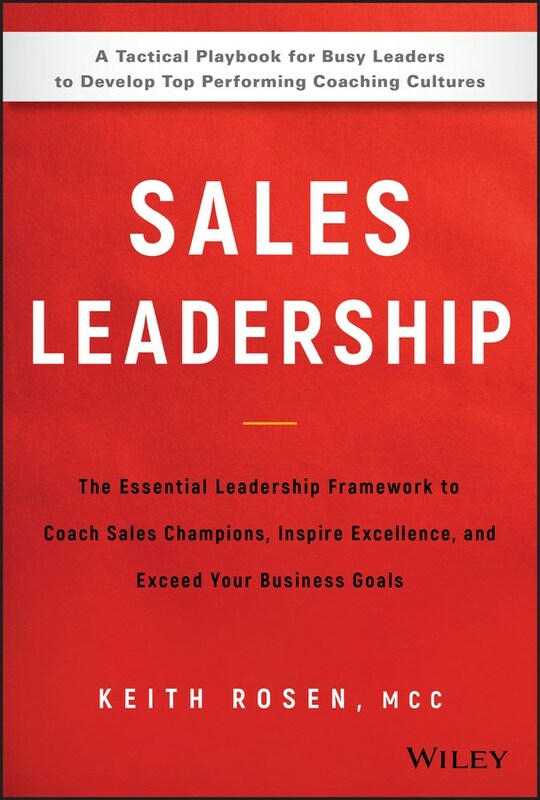 In its powerful simplicity, Sales Leadership delivers a chronological path to develop a thriving coaching culture and into a coaching leader who develops top performing teams and sales champions. Using Keith's intuitive LEADS Coaching Framework™, the coaching talk tracks for critical conversations, and his Enrollment strategy to create loyal, unified teams - you will inspire immediate change. Now, coaching is easily woven into your daily conversations and rhythm of business so that it becomes a natural, healthy habit. In his award-winning book, Coaching Salespeople Into Sales Champions, Keith was the first Master Certified Coach to share his personal coaching playbook that is now the standard for coaching excellence. Ten years later and one million miles traveled, he reveals the evolution of sales leadership and coaching mastery through his experiences working with Fortune 5000 companies and small businesses worldwide. In the first book ever entitled, Sales Leadership, you'll master the ability to: Ask more questions, give less advice and the build trust and accountability to rely on people to do their job. Reduce your workload and save 20 hours a week on unproductive, wasteful activities. Shatter the toxic myths around coaching to eliminate generational gaps and departmental silos. Achieve business objectives, boost sales faster and retain more customers. Create buy-in around strategic change and improve daily performance metrics. Assess company readiness and ensure implementation of a successful, sustainable coaching initiative and create a healthy, happy workplace. "People create the mindset, mindset shapes behavior, behavior defines culture, and ultimately, culture determines success. That's why the primary business objective is: To Make Your People More Valuable."